Join us at Eckert’s Farm to celebrate our annual Pumpkin Jamboree! This family-friendly event includes a wide variety of classic fall activities. Whether you attend with the kiddos in tow, come with a few friends or make it a date with your partner, you’ll have a blast at this pumpkin-themed party. Ride the wagons out to the pumpkin patch to search for your great pumpkin. In addition to plenty of potential jack-o-lanterns, we have lots of smaller pumpkins and gourds that are great for creating some festive décor at home. Our pumpkins range from a couple of pounds to more than 150 pounds, so we are sure to have exactly what you’re looking for. Don’t forget to get a few extra pumpkins to make your very own homemade fall treats, like pumpkin pie, pumpkin bread, pumpkin soup or even pumpkin pancakes! 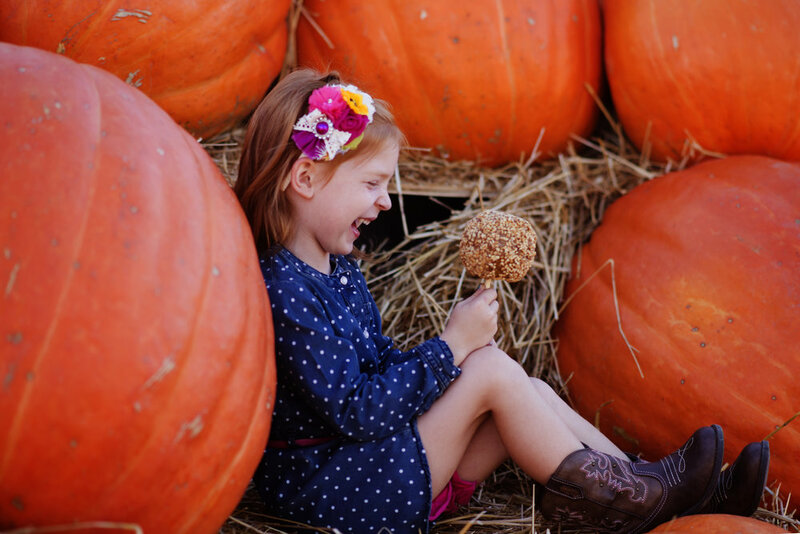 Picking out your pumpkin is just one of the many activities on hand for this festive farm event. Hop on a wagon ride to get a tour of our orchards. Enjoy live music and entertainment while you snack on some of the many tasty festival treats, including our famous kettle corn and freshly made funnel cakes. Bring the kids to the petting farm and let them enjoy a pony ride. This fun-filled weekend event will be hosted every weekend in October. Stop by once or come back every weekend to enjoy loads of affordable, family-friendly fun. The Pumpkin Jamboree will be held at Eckert’s locations in Belleville, Millstadt, Grafton and Versailles. Fees and some activities vary by location.